During all of February 2012, you can license one stock photograph for your project for unlimited years, and I will license the second photograph for FREE. Cost to license the first photo is only $120.00 for unlimited years. Contact Darren Stones by email or phone to discuss your requirements. 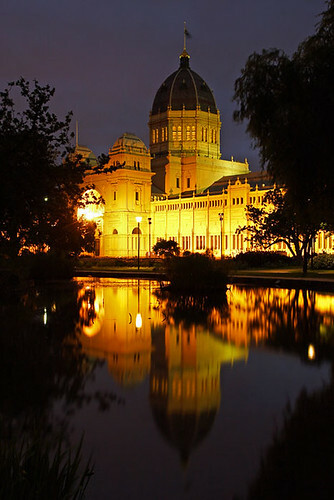 “The Royal Exhibition Building is an imposing sight, and even better at dusk when it’s floodlit. When I was making this photograph, some friendly possums came to check out the action. With large trees located in the Carlton Gardens, in which this building is located, I think it’s great that there’s wildlife in such a location so close to Melbourne’s CBD. 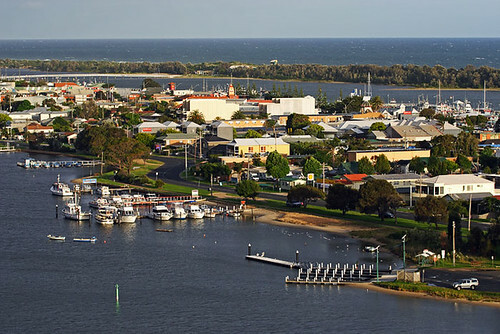 “Lakes Entrance evokes a strong sense of fun and the rekindling of memorable experiences for me. As a young boy in the 1970s, my hard-working parents introduced me and my younger brother to this coastal paradise during a family holiday. As a kid, I remember a severe thunderstorm that struck the town and began to flood the busy fish and chip shop in Myer Street. The staff continued to serve the customers during the storm and we ended up getting our food and a good soaking. But we didn’t mind because we were on holidays and it was all part of the adventure. 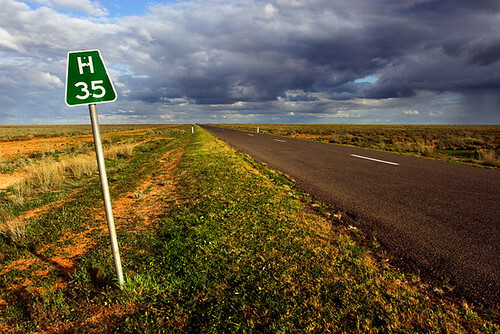 When approaching ‘Lakes’ – as it’s affectionately known – I begin to get excited at the thought of seeing the lakes system and picturesque foreshore areas. I feel as if Lakes Entrance has become an integral part of my life. It’s as if the place is flowing through my veins.